Since 2011, Parkinson Dentistry in Wesley Chapel, FL has offered general and cosmetic dental procedures to Pasco County and surrounding neighborhoods of Hillsborough, Pasco and Pinellas. Located near the Lowes Shopping Complex, Wesley Chapel dentist, Robert Parkinson, DMD offer such procedures as routine teeth cleanings, dental implants, Invisalign, composite fillings, teeth whitening and several other cosmetic dentistry procedures in Wesley Chapel. As a new patient of Parkinson Dentistry, you will experience a warm and caring environment as our doctor and staff thoroughly inquire about your family and medical history. We work diligently to alleviate your dental pain and restore smiles to their natural beauty. No matter what procedure our patients come in for, we will make sure the satisfaction level is high. We provide explanations of treatments and the information you need to know to make an informed decision. Dr. Parkinson enjoys the artistry behind cosmetic dentistry and received his advanced training from the Las Vegas Institute for Advanced Dental Studies. 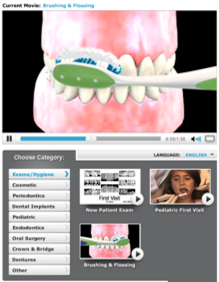 Dr. Parkinson keeps up to date with continuing dental education and the newest techniques in the industry. Each patient is treated with respect and as if you were part of our own family. Parkinson Dentistry takes pride in our little, to no, wait times when coming in for appointments. We don’t double book our patients so that we can provide you with our utmost of attention. Whether you are looking for teeth cleaning, root canal therapy, or a family dentist in Wesley Chapel, we are eager to hear from you. Dr. Parkinson is a member of the American Dental Association, Florida Dental Association, Academy of General Dentistry, West Coast District Dental Association, Florida Academy of Cosmetic Dentistry, American Academy of Cosmetic Dentistry, Academy of Laser Dentistry, and Academy of Computerized Dentistry. Parkinson Dentistry provides quality dental care including general and family dentistry to patients of Wesley Chapel and the surrounding areas.